Medical Cannabis in Florida has been legal since 2016 (Amendment 2), while the recreational use remains illegal. Amendment Two passed with a vote of 71.3% in favor of the bill. Few years earlier, in 2014, the Florida House of Representatives Budget Committee had passed the so-called Charlotte’s Web measure which was aimed to limit State’s ability to prosecute those in possession of high CBD/ low THC cannabis (“0.6 percent or less of tetrahydrocannabinol and more than 16 percent of cannabidiol”). Nowadays, the State of Florida forecasts almost half a million patients in the next five years. Caregivers and patients must be 18 or older; a caregiver must be certified if a patient is a minor. A qualified physician must evaluate a patient at the very least once every seven months. The Florida Department of Health Office of Medical Marijuana Use regulates and oversees where and how Cannabis infused products are obtained. It also licenses Florida businesses to cultivate, process and dispense medical marijuana to qualified patients. There are 25 retail facilities per medical marijuana treatment center, but there is a provision for another four more shops per 100,000 patients. According to the updated regulations, any Florida business that has a medical director on staff can apply for a license. 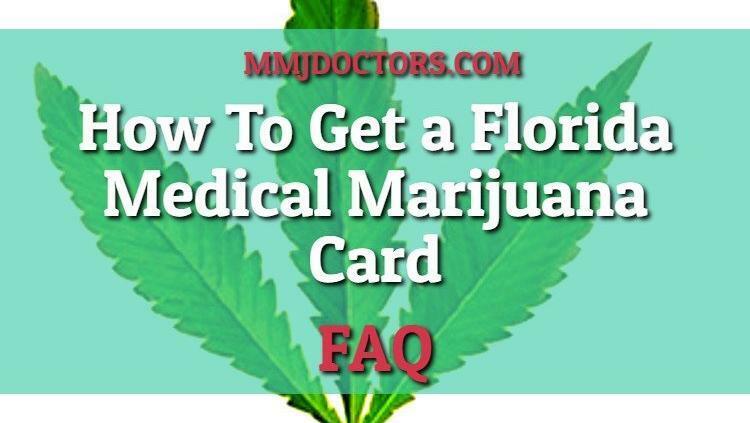 Does my Florida Medical Marijuana Card Expire? Medical Marijuana Patients may receive an order for three 70-day supplies before having to revisit a doctor to get re-certified. Can I smoke Medical Marijuana in Florida? Smoking medical marijuana remains prohibited. The alternatives are vapes, and medical marijuana products like edibles, creams, oils, sprays, and tinctures. In Florida, low-THC cannabis is distinct from medical marijuana in that it contains insufficient amounts of the psychoactive component tetrahydrocannabinol (THC). Because of its low-THC content, it does not have the euphoric properties that full-potency marijuana has. Qualified patients with certain diagnosed medical conditions who seek treatment in the form of medical marijuana have to follow a specific process to obtain a medical marijuana card. Several conditions must be met to be registered as a medical marijuana patient in Florida. Don’t forget that you must prove your Florida residency to qualify. You must be a legal resident of Florida. If the seasonal residents of Florida must reside at least 31 straight days each year, maintain temporary residence and have to be registered to vote or pay income tax in another state, then they are eligible to receive medical marijuana also. Your doctor(who is registered in the state of Florida with the Medical Marijuana Use Registry) will provide you with a signed statement. Additionally, you must be his/her patient for three months before you get the statement of this diagnosis. 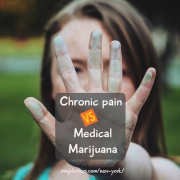 To qualify for medical cannabis, you should have previously followed traditional treatment methods that didn’t work and with documentation of proof. You need a prescription from a qualified Florida physician affirming you have an eligible condition and conventional treatment has not been effective. 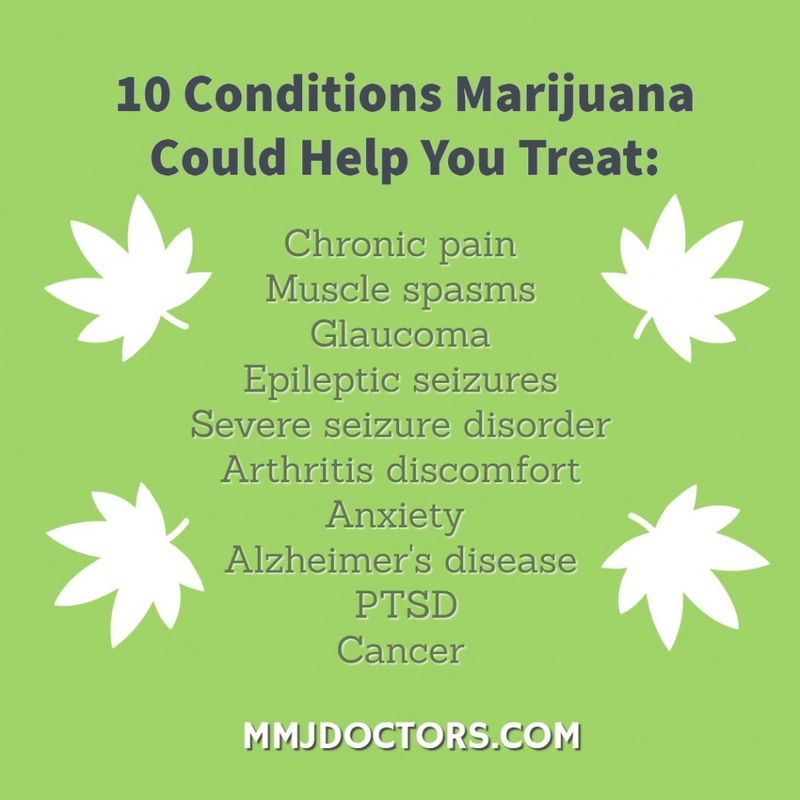 Qualifying Health Conditions for Medical Marijuana in Florida: patients with a physician’s diagnosis for a qualifying health condition could be those who suffer from Cancer, Glaucoma, Epilepsy, HIV, AIDS, Parkinson’s disease, PTSD, ALS, Crohn’s Disease, Multiple Sclerosis, and any other condition deemed appropriate by a licensed physician for medical marijuana treatment. Your physician enters your name and information into the Marijuana Use Registry (aka the Compassionate Care Registry), run by the U.S. Department of Health. Once you are in the cannabis registry, you can then submit a completed marijuana application to the Office of Medical Marijuana Use. What Documents Do I Need To Apply for a Florida Cannabis Card? You will need a Florida drivers license or Florida ID. Passport and proof of residence are accepted. Documents needed for a Florida Marijuana Card. How long does it take to get a Medical Marijuana Card in Florida? It may take up to two moths before the DOH reviews your application and issue your MMJ card. Once your medical cannabis application is approved and you get your medical marijuana card, you will be able to buy cannabis products from licensed medical marijuana dispensaries in the State of Florida. But you are not allowed to grow your plants. There are different fees to pay when applying for a medical marijuana card in Florida. The initial charge to speak with the qualified marijuana doctor, and then the registration fee for the application itself, which is $75. The costs for an initial medical marijuana evaluation in Florida may vary. Most doctors would charge over $300 for a cannabis card. At MMJ DOCTORS we providr the cheapest medical marijuana evaluations in Miami. The cost for a full term Cannabis card in Miami from MMJ Doctors varies from $150 to $200. The cheapest marijuana card in Florida. Apply here. When you meet all of the requirements and receive a recomendation for medical marijuana, all that’s left is to fill your prescription at a licensed Medical Marijuana Treatment Center. To qualify as low-THC, the flowers, seeds, resin, and any other product derived from the cannabis plant must contain 0.8 percent or less of THC and more than 10 percent of cannabidiol (CBD). How to buy weed in Miami read here. Your medical marijuana card will arrive in your mail once your medical cannabis physician has registered you. Is Recreational Cannabis legal in Florida? Not yet. The medical marijuana market represents a significant opportunity in Florida, as the number of registered marijuana patients continues to rise. Since April 2018, the marijuana patient count has more than doubled to around 180,000 in a state with over 21 million residents. Elected officials in Florida understand that the majority of their constituencies accept the use of cannabis for medical purposes. People seem to learn fast all about cannabis, and cannabis-based medicines become more acceptable. It’s not surprising to see that more and more people support medical cannabis. It is only a matter of time until recreational cannabis becomes legal in Florida. Legalization will be a significant catalyst for the marijuana businesses that are levered to this burgeoning market finding investment opportunities. 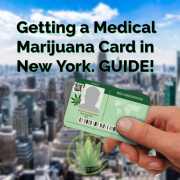 Can I use my New York State Medical Marijuana Card to visit a medical marijuana dispensary in Florida? No. 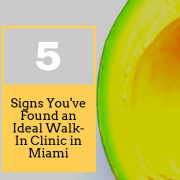 Only patients who were evaluated by a Florida Licensed MD and are residents of Florida can visit MMTC. 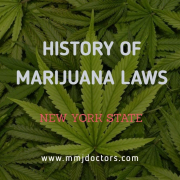 To apply for a Medical Marijuana Card in New York visit: Marijuana Doctors New York. 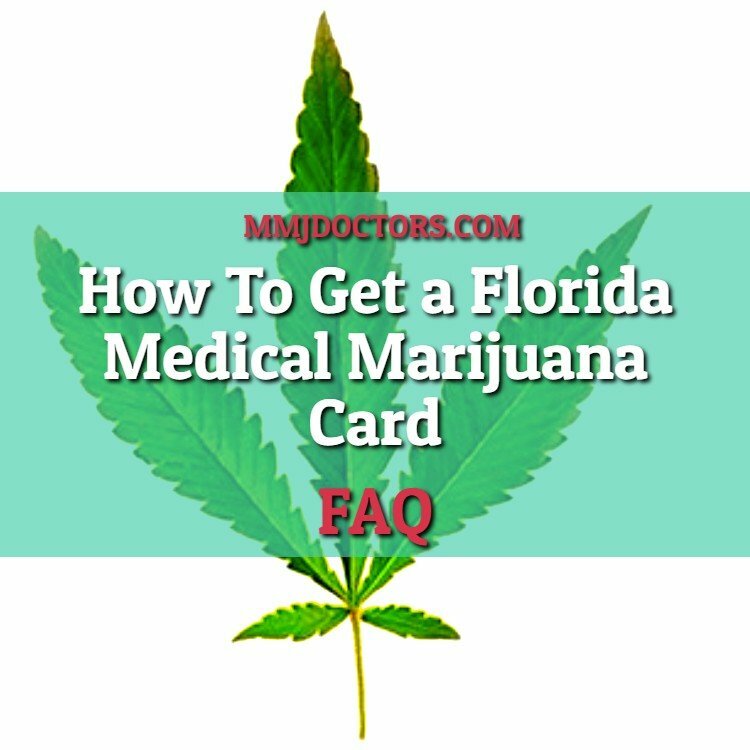 To apply for a medical cannabis card in Miami you will need to speak to a Florida marijuana doctor. Telehealth visits for cannabis are prohibited in Fl, so make sure you do not fall for the scam. 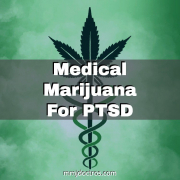 Complete this form to speak to a licensed marijuana doctor in downtown Miami – mmj form here. 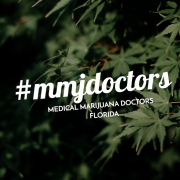 Visit MMJ Doctors Miami at 434 SW 12th Ave, #206, Miami, FL 33130, or call (305)776-2898 for more info.